With 2013 coming to a close, I thought I clean out the brewing closet (aka find my ageing malts and hops) and throw together a tasty beer. Based on the ingredients I found, I came up with a session IPA (I could of made it an APA, but I thought I jump on the session IPA bandwagon). You can tell by the grist that the grain bill looks a bit random with 6 different malts; it’s not intended for malt complexity, it’s just what I had and needed to get rid of. The hops weren’t that old, 2011 crop year, kept in a cold freezer. Old standby US-05 fermented at 68 F to get the job done. Fermented and kegged in 7 days for quick turnaround, the picture on the left is the resulting brew. Good color for an IPA with nice head retention (probably from the Carapils, wheat combo and hop oils), a touch haze as well (also probably from the wheat). Nice Simcoe and Zythos aroma (no cat pee here!). Hop flavor carries well, with a touch of bready malt. Not much sweetness, dry, medium-low body. You can drink this one by the pint all night at 4.1% ABV! For a rebrew, I probably replace the base malts with a more characterful single base malt like Maris Otter, and increase the crystal malt close to a pound. I think this low ABV beer needs a bit more body and sweetness to play better with its high IBU. 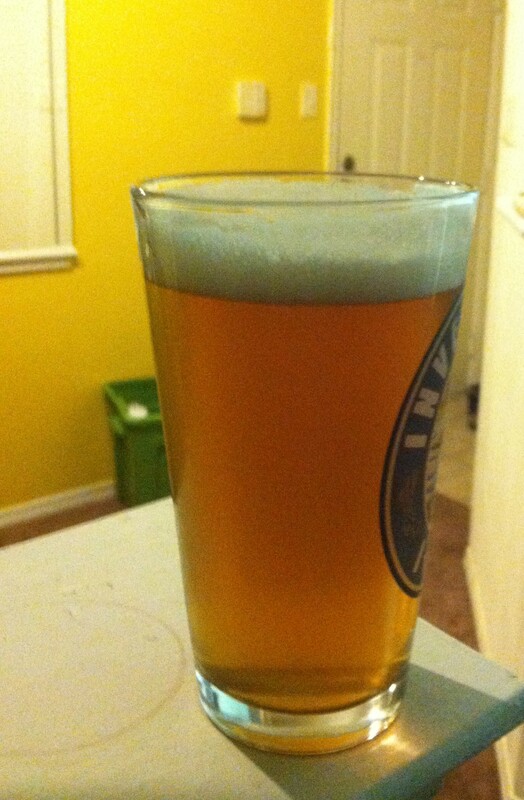 Will have to brew another session IPA soon, as this one is disappearing fast. Happy Brewing! Cheers!